Under National Association of Securities Dealers, Inc. (NASD®) Order Audit Trail System (OATS) Rules 6950-6957, all member firms can be required to record the order receipt and routing time in hours, minutes, and seconds. 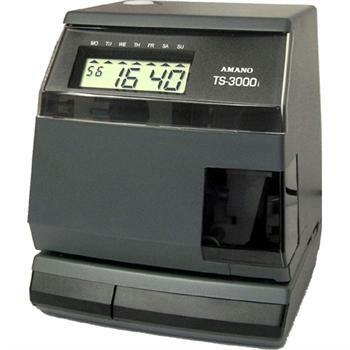 Developed by Amano, the Amano TS-3000i is a plug-n-play clock that runs on it's own, receiving its time over a network from an official time server. Synchronization is done directly to an internal/external NTP time server and complies with FINRA OATS Rule 7430 (formerly NASD OATS Rule 6953 & NYSE 132A). The Amano TS-3000i clock requires no additional software or master control unit in order to offer full compliance to the NASD OATS requirements. All you need is the TS3000i Automatic TimeSync Web Time Clock for complete NASD OATS compliancy. Addition of ATVS software is optional for greater control and convenience. With the addition of Standard or Enterprise level management software, the Amano ATVS solution offers an easy-to-maintain, highly configurable, and efficient OATS compliant system for any size trading firm. Through the use of TS-3000is with the ATVS (Automated Time Validation System) software firms requiring OATS compliance under NASDAQ requirements can centralize monitoring and reporting of their clock network. 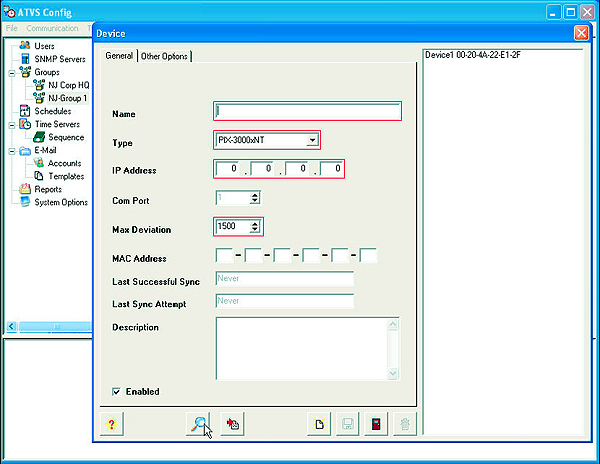 <<< Setup Wizard allows for quick and easy setup of Communications, Schedules (for synchronization and reports), Email (ATVS Enterprise only), Users, and General System settings. <<< Sample Transaction Report is one of the most commonly used reports that gives detailed data identifying synchronization sources, success / failure of synchronization, and time and date stamps for these actions. 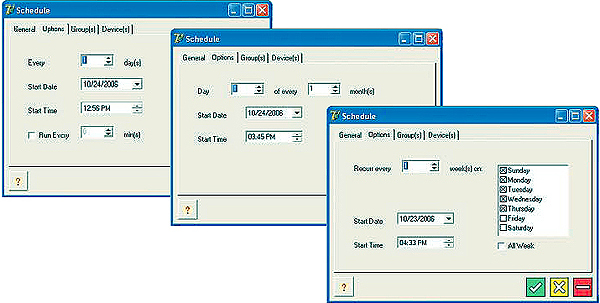 <<< Report Scheduler within the ATVS software allows reports to be scheduled to run automatically on a daily, weekly, or monthly basis.